EDIT: After checking out this article click here to see the installation and use. When it comes to router lifts there are a lot of options. Quite a few commercial options and a handful of homemade options. 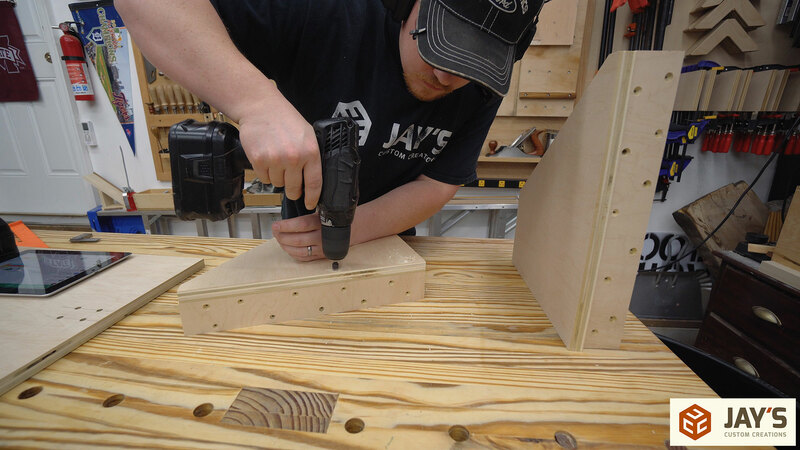 Commercial options are “plug and play” products that provide the quickest and easiest route to a quality router lift. 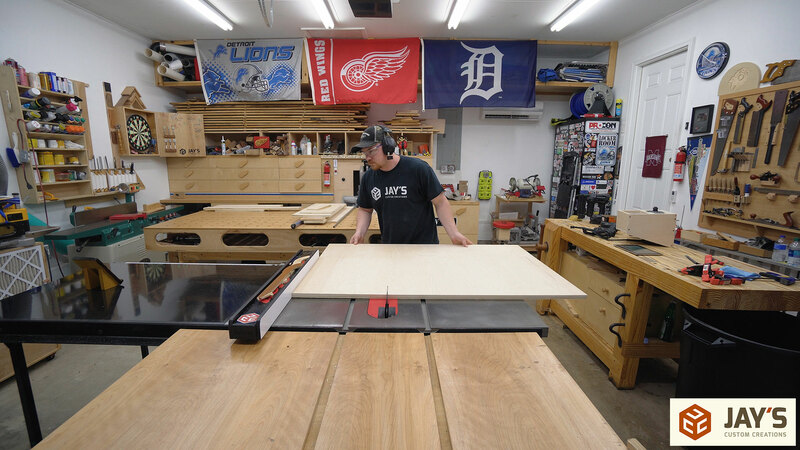 Then you can add to them by buying a table saw extension wing or a router table top and a router fence. All “plug and play” and ready to get you working with little installation or setup time. The biggest drawback to a commercial lift, table top, and fence is the cost. That’s where the homemade options come into play. 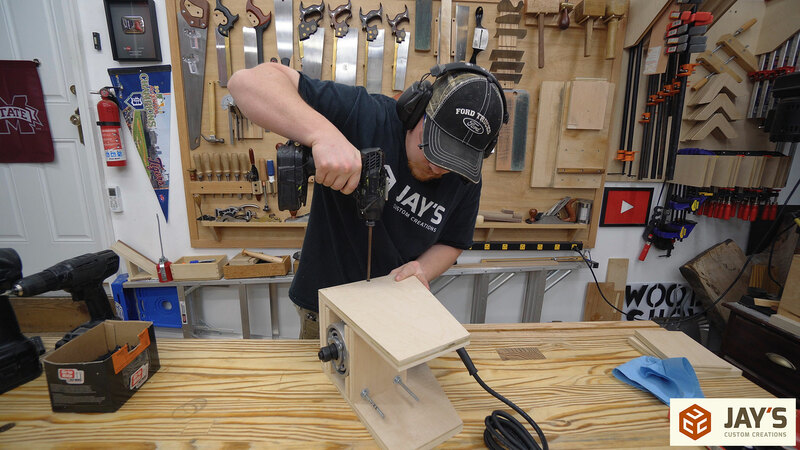 Why build a router lift when you can just buy one? Well….why build a piece of furniture when you can buy one, right? 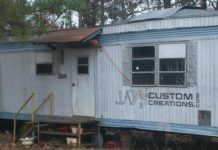 Building allows you to get a custom lift that does exactly what you want it to do, has all the features you want, and almost always costs a lot less than commercial options. 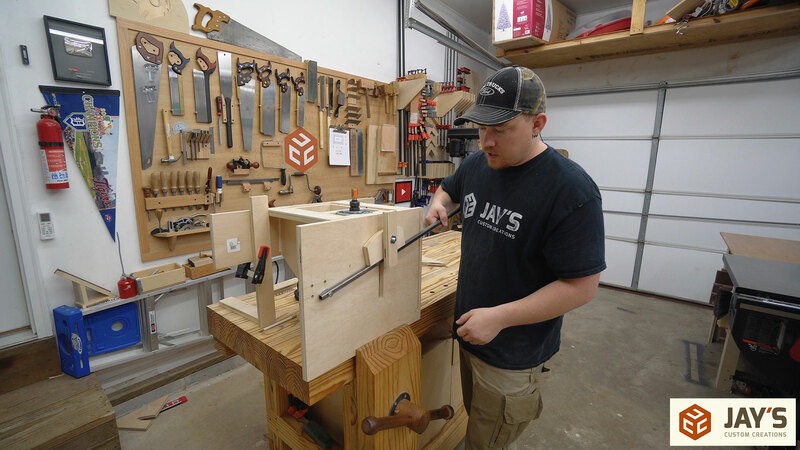 When I designed my first lever router lift my intentions were to make something that was fast and easy to set up, installed in my table saw wing so it didn’t require more floor space, and was easy to build while still being cost-effective. 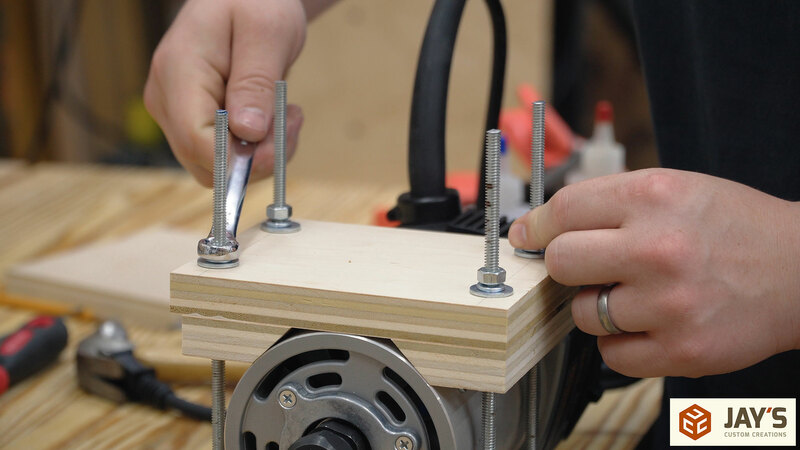 The first lever router lift I built was sized around a 3-1/4” diameter router. It was 2hp with no variable speed control. 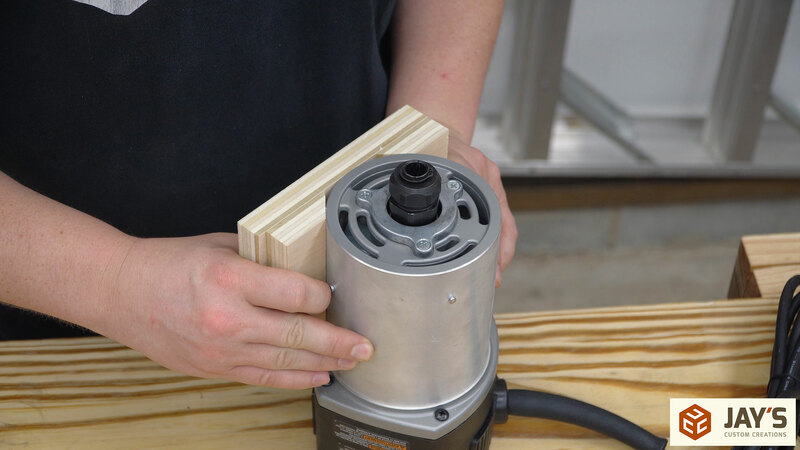 Variable speed is important when using larger diameter router bits. 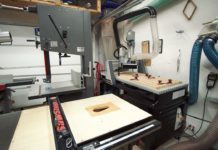 For this second lift I decided to build it slightly larger to accommodate a 4-1/4″ diameter, 3hp, variable speed router. 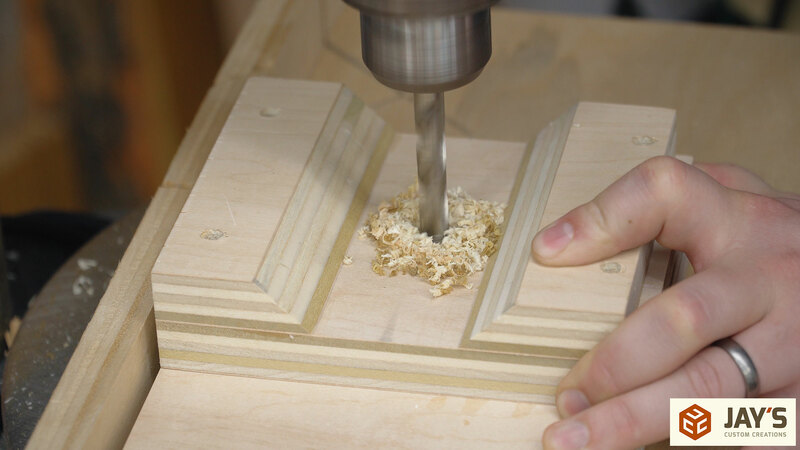 This would allow me to use larger raised panel router bits. 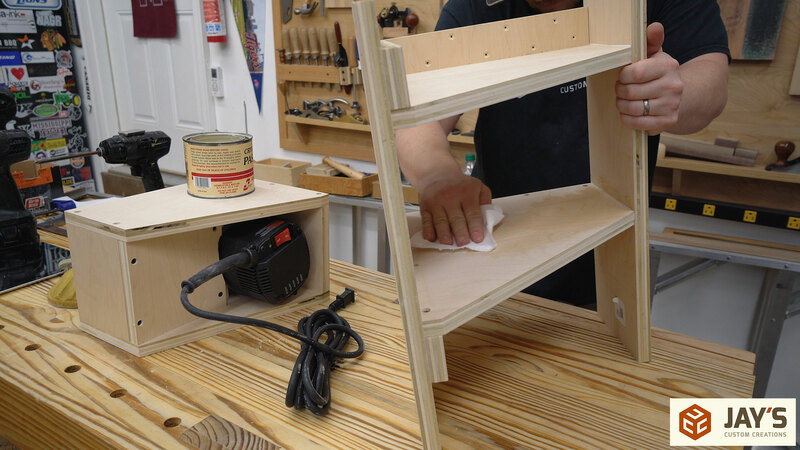 For a long time I had the idea to build a bigger router lift into a floor standing model but I never got around to doing so. 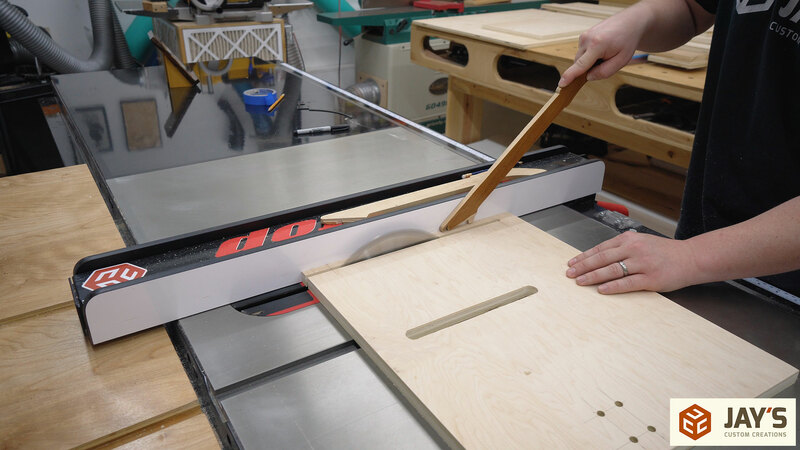 So instead, I decided to build this new router lift into my table saw extension wing just like the last one. UPDATE: Plans are completed. If you’re interested in a set of plans click here. I used this router in the new version http://amzn.to/2z7zJaj. I designed the new version to be made from one sheet of 3/4” plywood. Not just the router lift though. Everything can be made from one sheet of plywood. That’s the lift, the extension wing, and router fence. Instead of using a single full sheet I tried to get everything from all of the plywood offcuts I had under my assembly table. While making the lift I was still unsure if the idea would even work out. 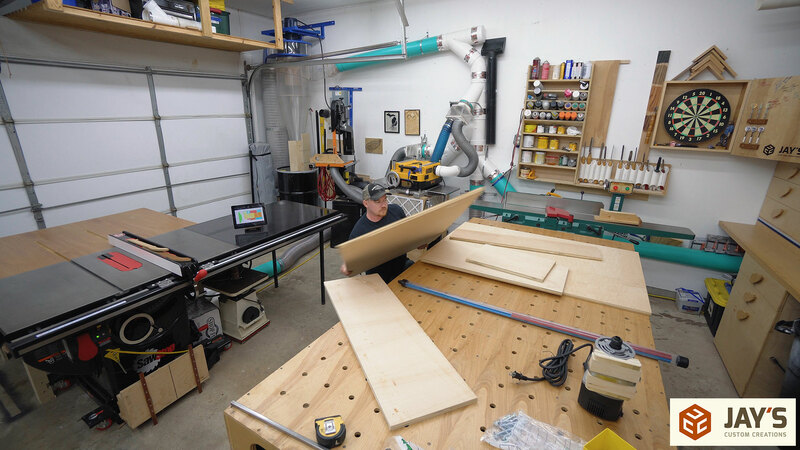 The concept and how it actually works is pretty much the same as the last version but the changes to incorporate a larger router as well as make the dust collection and lift movement better would require more pieces of plywood. And more plywood means a heavier lift. Making the lift too heavy is my only concern at this point. In this article I’ll only be covering the lift portion of the build. I nested all of those pieces together for the build. 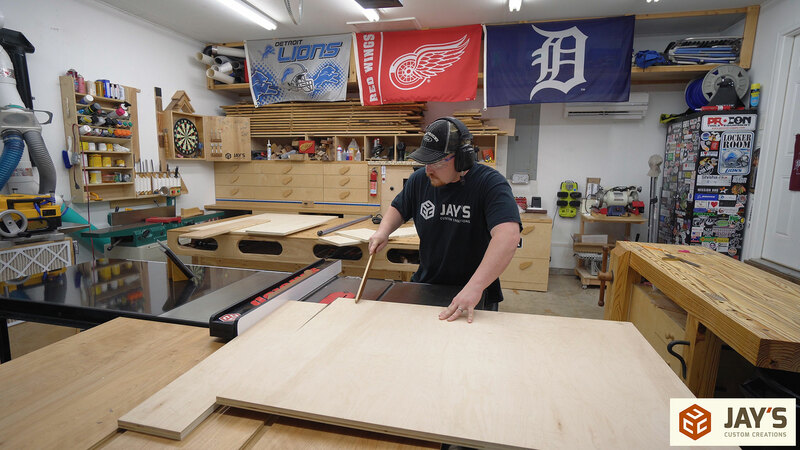 I cannibalized my crosscut sled a few months ago with the intentions of making a new one and never got around to making it. 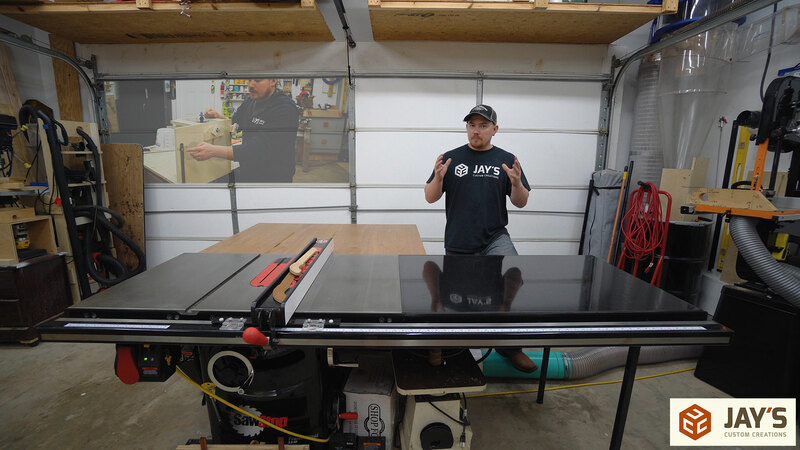 There are just too many videos on crosscut sleds already and I haven’t been motivated to finish it off camera. I’m easily distracted these days. So in the mean time, a piece of milled lumber attached to my previous sled base will get the job done. 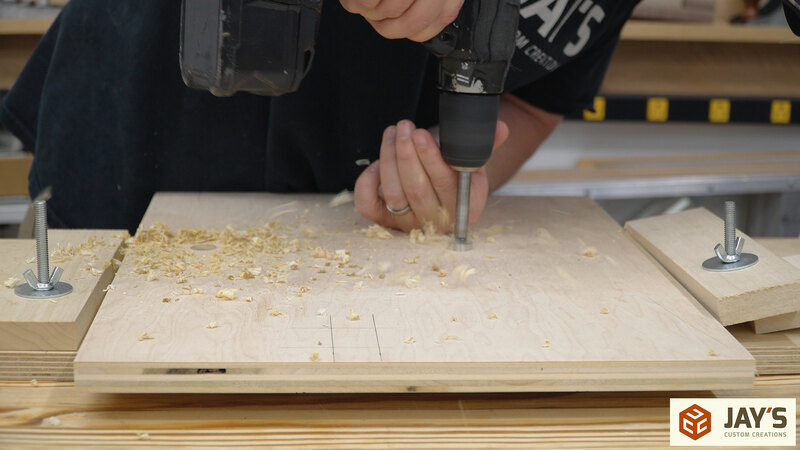 After ripping the parts I crosscut them to length. Having the layout diagram open on my tablet right at hand makes the process go by quickly. The router is mostly cylindrical in shape. 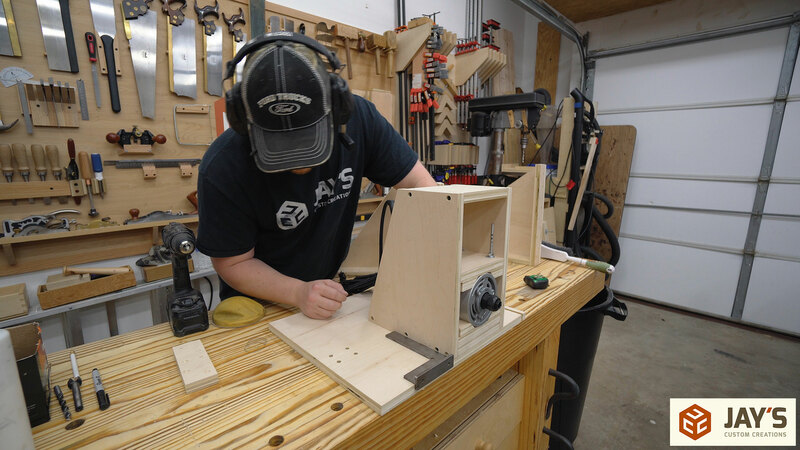 Instead of cutting a matching circle with a bandsaw or jigsaw I cut a couple 45 degree blocks to hold the router. These will work just as well and are easier to make. 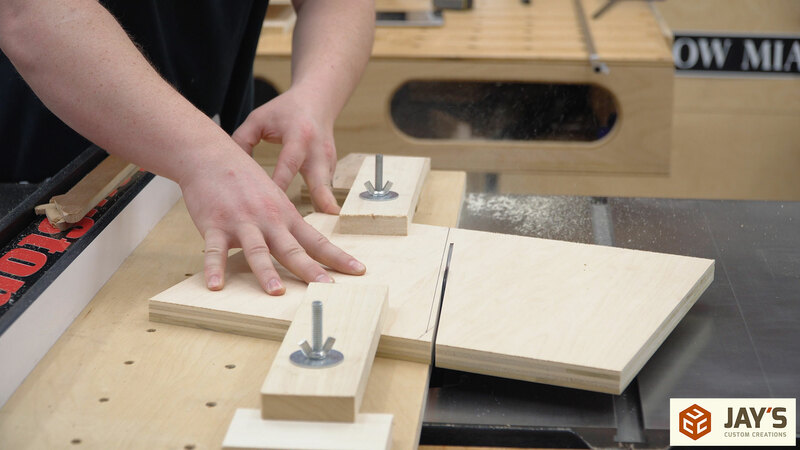 The first step is to attach only one of the 45 degree blocks to each side of the router mount blocks. 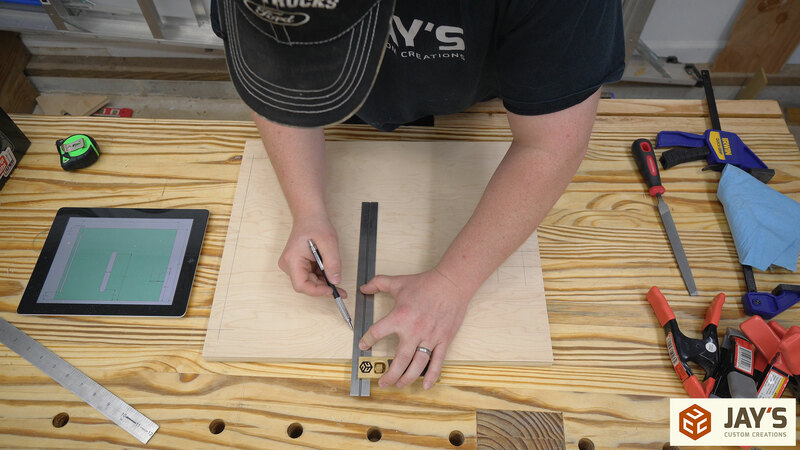 It’s important to make sure the 45 degree block is perpendicular to the top and bottom edge of the router mount blocks. 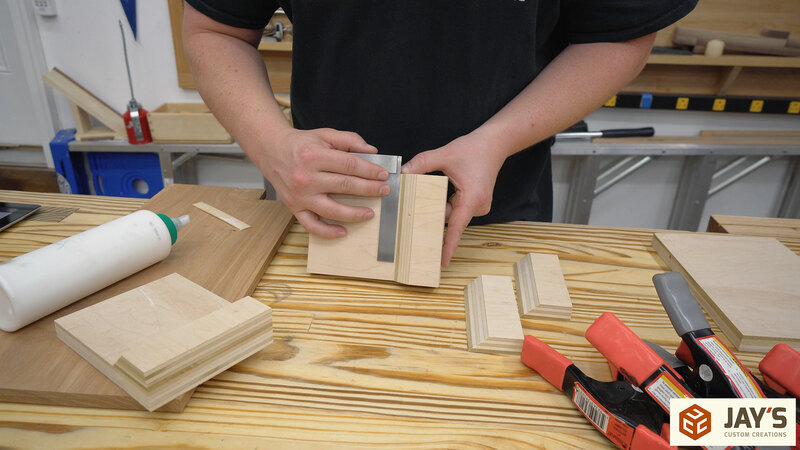 When the glue has cured from the last step the mount blocks can be held in place onto the router making sure both the wide face of the mount blocks as well as the angled face of the 45 degree blocks are contacting the router along their full length. Then the opposite 45 degree block can be glued on. It’s helpful to use quick-setting glue for these pieces. I tried to hold them in place with spring clamps but the 45 degree blocks kept shifting so I went back to the router and just held them by hand for a minute or so until the glue setup. You may notice that the second 45 degree block doesn’t line up with the edge of the mount block. That’s because I cut them just a little too narrow. At this point one of the mount blocks can be attached to the main carriage piece making sure it is flush along the top and both sides. 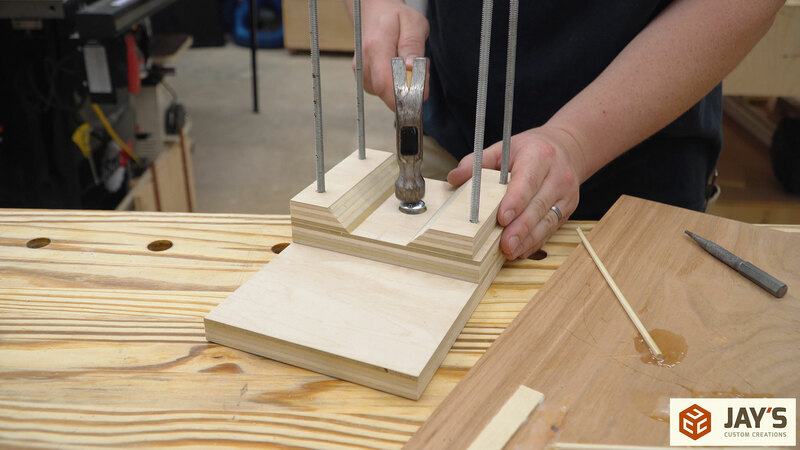 The mount blocks will be connected and hold onto the router via four sections of threaded rod. 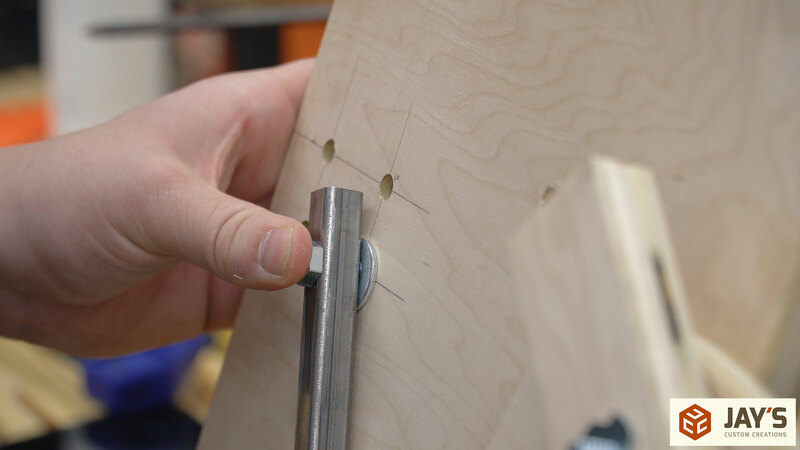 Counterbored through holes on the main carriage piece are needed for the threaded rod and hex nuts. Matching through holes are needed on the other mount block. Another counterbored hole is needed in the center of the mount block attached to the main carraige piece. This is for the main bolt that will be used to lift the router carriage. In a perfect world long carriage bolts would be easy to find. However, the length needed is just longer than the longest common carriage bolt. So instead I made my own bolts with threaded rod and nuts. To hold the nuts in place I used some epoxy. 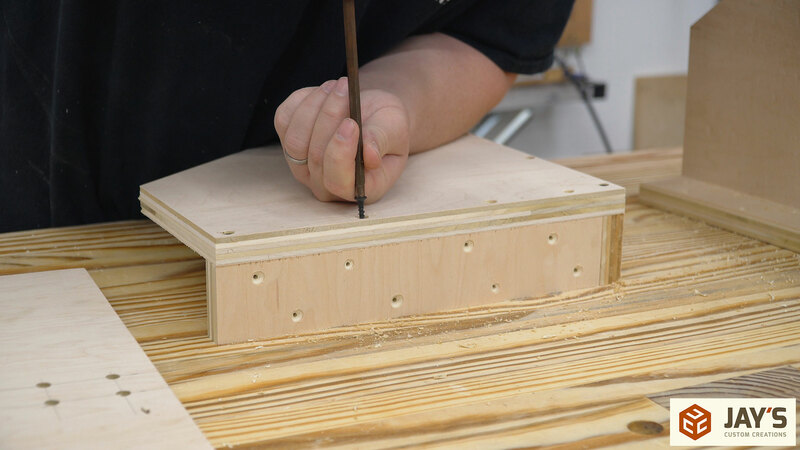 Then each piece of threaded rod can be installed into the main carriage piece and locked into place with a bit of epoxy on the last few threads as well as in the counterbore where the hex nut will be. The main carriage bolt for the lift is installed the same way with a bit of epoxy. After letting the epoxy set up the other mounting block is slid onto the threaded rod and the router is finally locked into place. 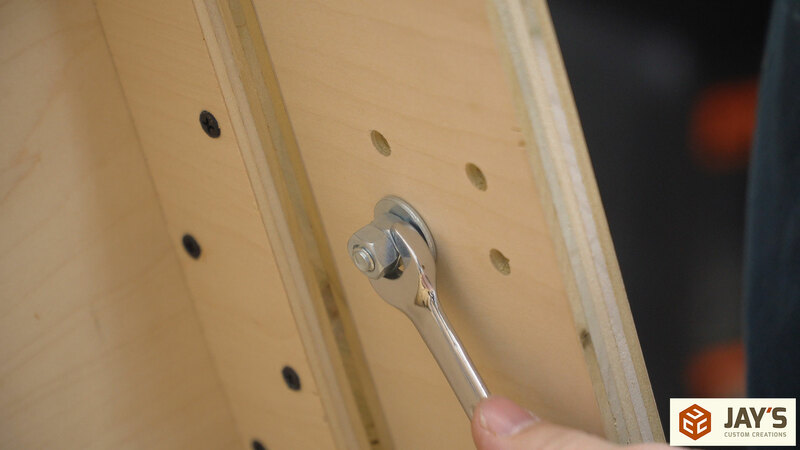 At this point the extra threaded rod can be cut off if desired. I thought it was wasted energy to cut them off as there is no benefit to do so. 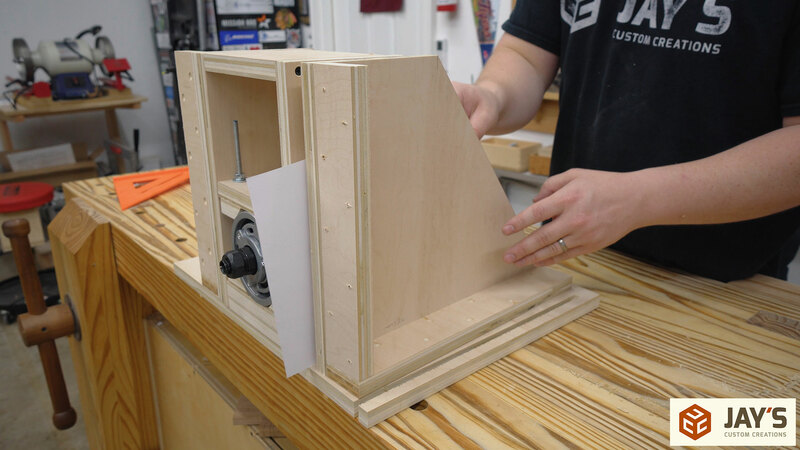 The router carriage will basically be a box when it’s all said and done. To reduce weight and unnecessary material I designed the side pieces to be angled on their bottom edge. These pieces are nested together in the layout diagram. 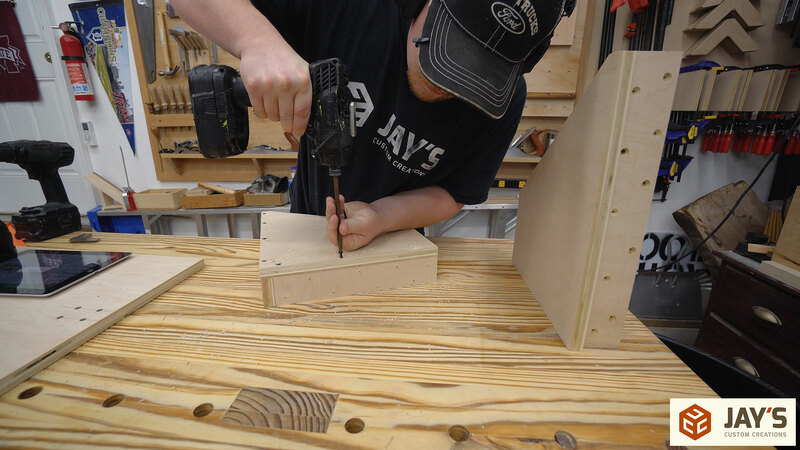 I used my multi-function hold down jig to separate the pieces from one another. Then I stacked them and used the jig to once again to make a single cut to get them to their final size. 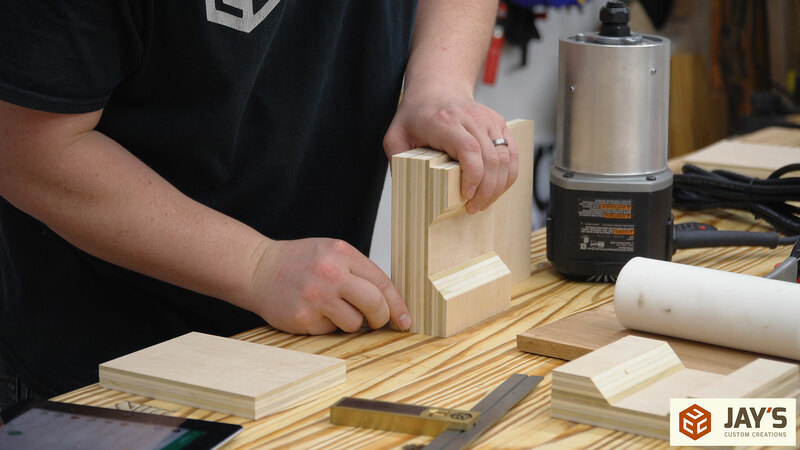 A small cut is needed to square off the bottom corner of each side piece. The side pieces are attached with screws only. No glue. Followed by the back piece. Screws only. No glue. The bottom plate is just a mounting plate for the 4” dust collection port. In order for this to fit all the way to the router that I am using a notch needs to be cut. 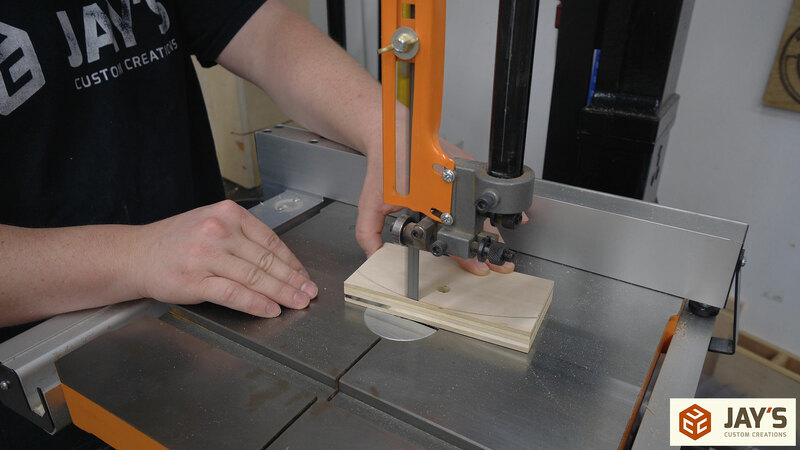 The router can be scribed onto the plate and then cut out with a jigsaw or bandsaw or coping saw. Then the plate can be attached with four screws. No glue. This is where I screwed up. 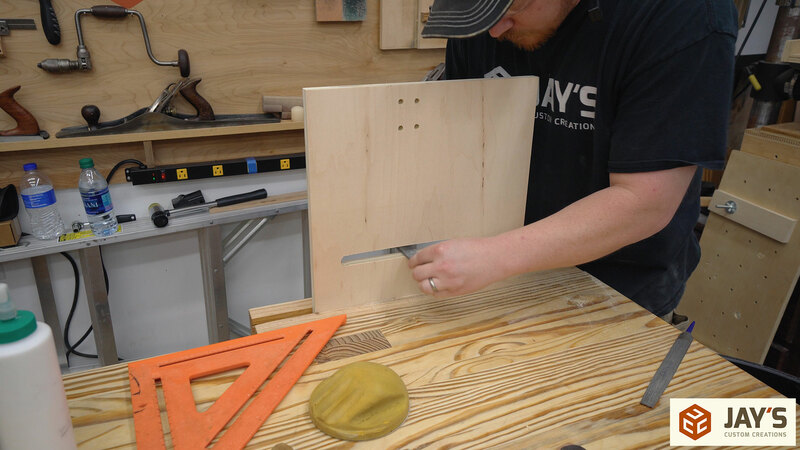 I cut the main front piece out of my largest scrap piece of plywood instead of the one I had sitting aside already. This means I will eventually have to purchase another sheet of plywood when I get around to making the extension wing. This piece was supposed to be the extension wing. The main front piece has a few things going on with it. A slot is needed for the main lift bolt. An open-ended slot is needed for the right side locking knobs. And four holes are needed on the left side for lever placement options. Everything on the main front piece starts with a drilled hole. 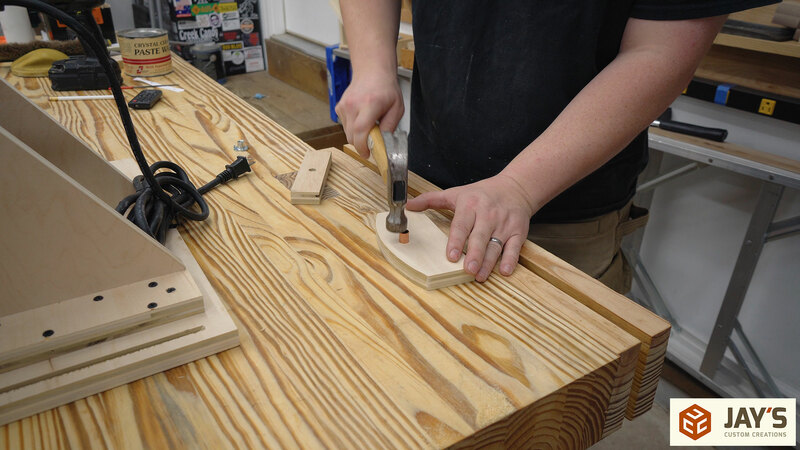 I used my hold down sled as a sacrificial piece on my workbench to drill the holes by hand. 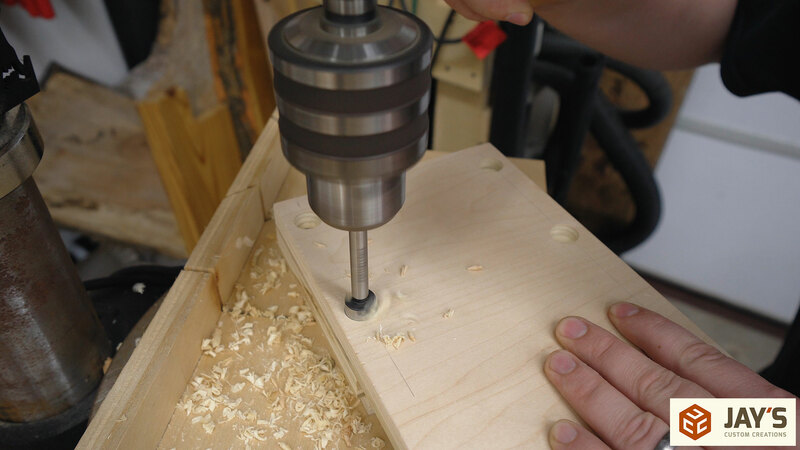 A drill press would be better but this is faster. 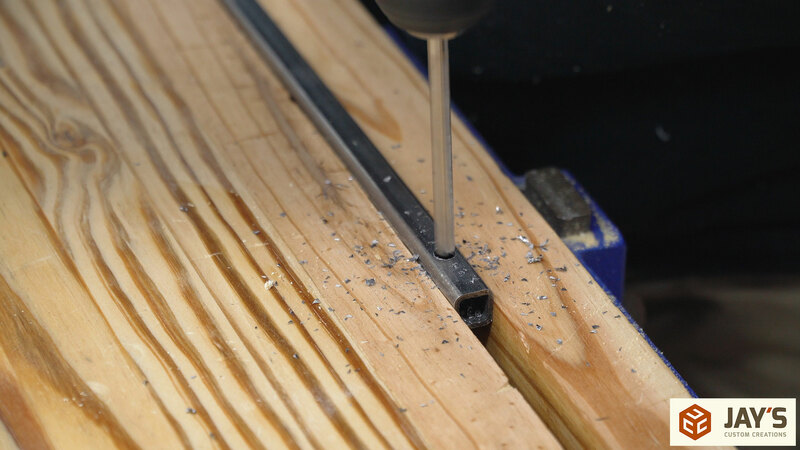 Connecting the forstner bit holes with a jigsaw turns the two holes into a continuous slot. 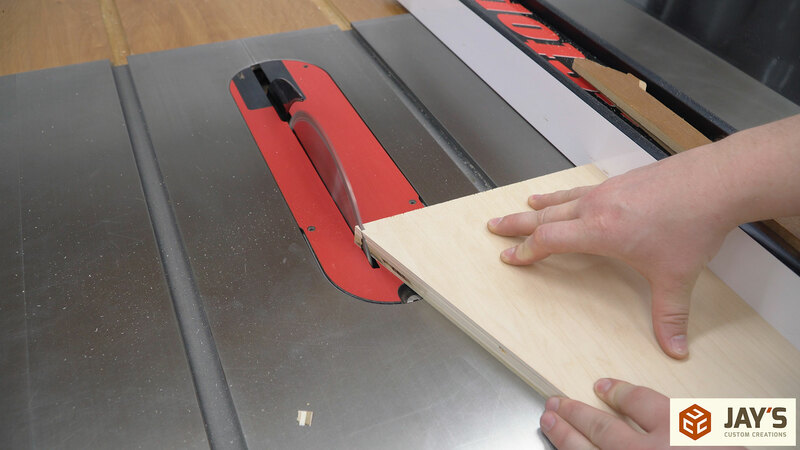 A 12” speed square is one of the most handy accessories for a jigsaw. The blade on my jigsaw was a little old and burnt up so the cut wasn’t that great. I cleaned it up slightly with a file. Looks aren’t incredibly important here but the cut was just too ugly to leave it as is. The small slot for the locking knobs was originally going to be a closed slot between two holes, just like the center slot. 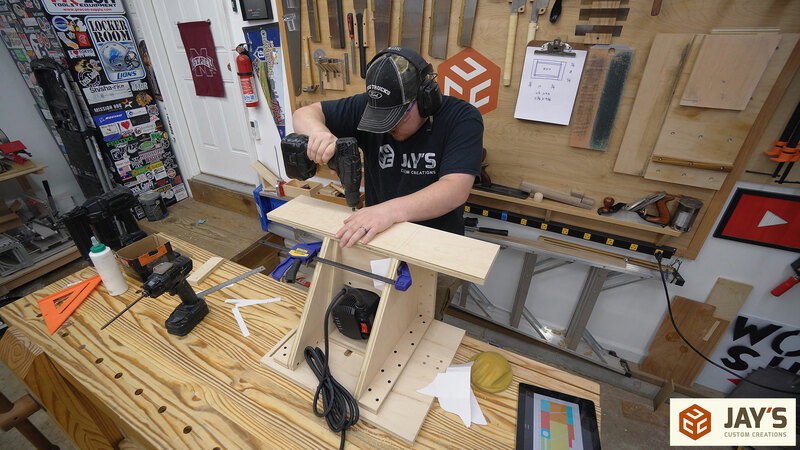 This would have been easy to do with a plunge router or a router table but I figured it doesn’t make sense to show you that a router table is required to build a router lift. 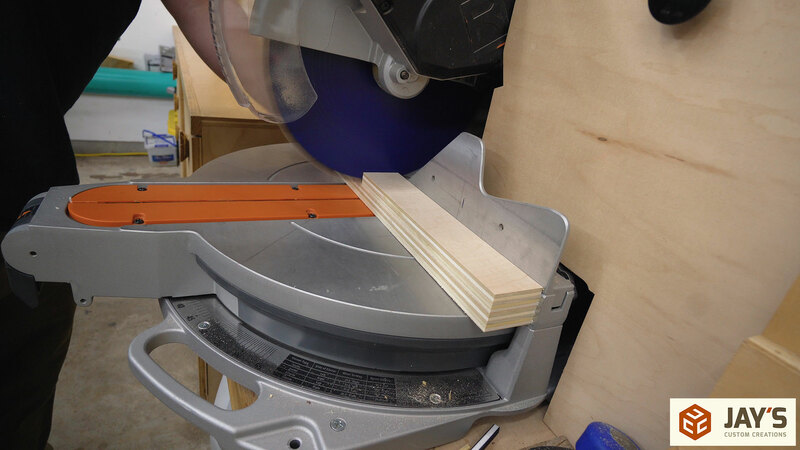 So instead I just cut the slot as an open-ended slot on the table saw with multiple passes. 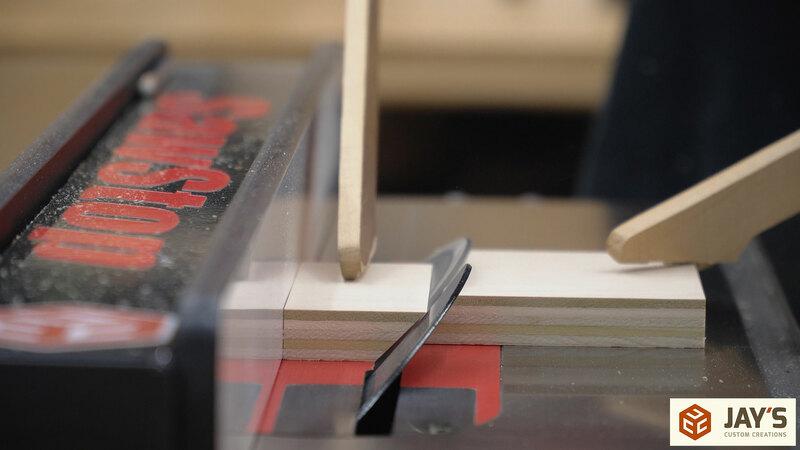 After the first cut is made it is very important to not pinch the blade with the remaining cuts. The bottom right corner of the piece might act as a pivot point as you pus the piece forward. Just maintain the right side of the piece against the fence and push with an even forward force to keep the back edge of the piece perpendicular to the fence. A couple narrow mounting boards are needed to hold everything together. 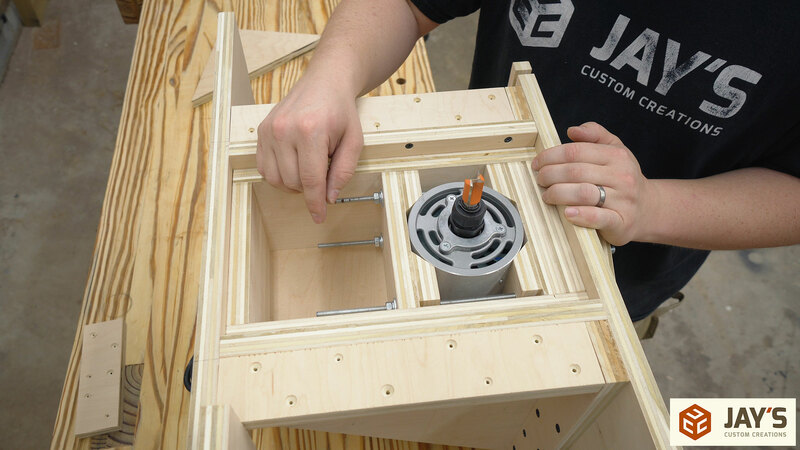 It’s going to be easier to assemble the exterior of the lift around the router carriage from below. That’s why these mounting boards are necessary. Each one gets a bunch of countersunk screw holes. 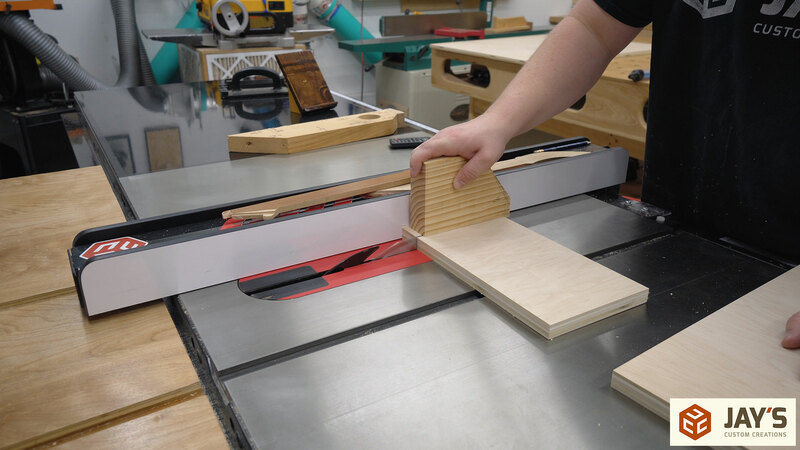 Just like the sides of the router carriage, the sides of the exterior of the lift are nested together and then cut out to match using my multi-function cuttoff sled. You can see in this picture that I had to use a L shaped extension block attached to my fence for these. That’s because these pieces are wider than my cuttoff sled. 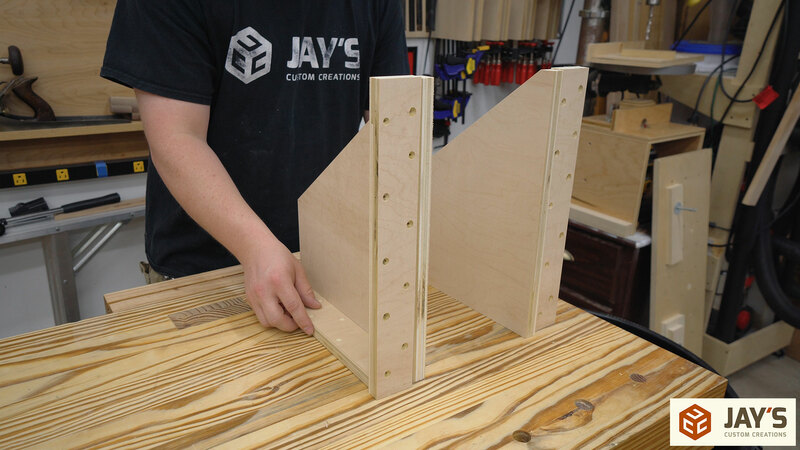 Here’s a mock-up of how the sides will be assembled. With the pieces on their side the longer mounting strip is attached first. Screws only. No glue. Then the short mounting strips are attached. Screws only. No glue. 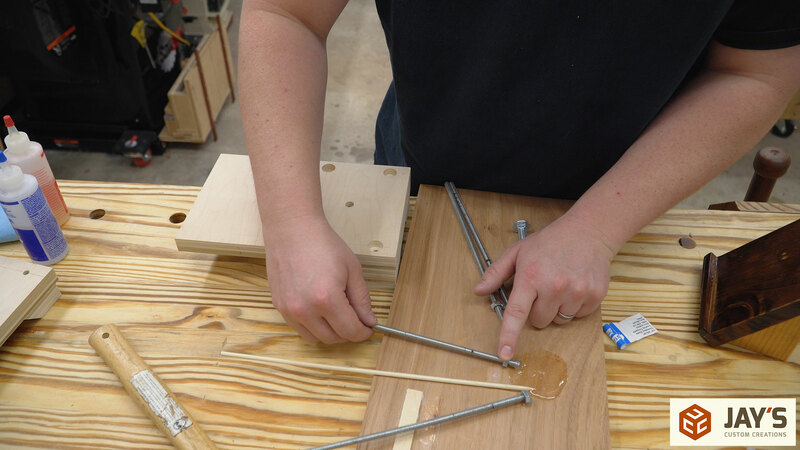 It’s easy to accidentally screw up and make two rights or two lefts so always take a second to pause and make sure the pieces are laid out appropriately before connecting them. With the carriage in place and the main bolt through the front slot the sides can be attached. It’s important to make sure the carriage is located with the main bolt centered in the front slot and the entire carriage is positioned square to the top edge of the main front piece. 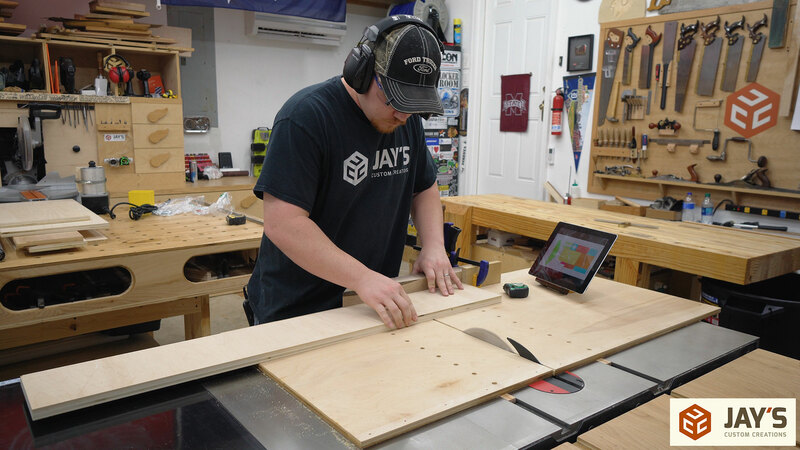 The first side you attach can be secured in place as is making sure it is lined up with the top of the front plate and flush with the router carriage. I made a mistake while attaching the other side. 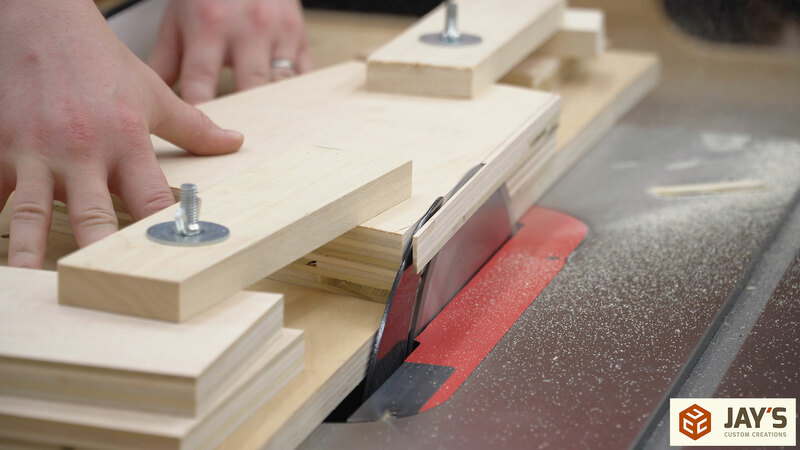 A single piece of paper is used to space the other side and in this orientation with the router carriage in the up position only one single screw should be used near the top of the side piece. Then the lift should be slid to the bottom of its travel and at that point the lower few screws should be installed. Then the rest of the screws can be installed making sure to move the carriage up near the screw being installed. I didn’t do this so the router carriage was too tight near the bottom of the travel. I didn’t show it in the video but I had to sand the bottom half of the second side I installed in order to get the carriage to travel freely as it should. The last piece of the main assembly is the back panel. It is attached with four screws into each side panel. In the final model of the router lift I have this piece with the corners cut off on an angle but for this initial assembly I didn’t take the time to cut them. After mounting the back panel it needs to be removed and shimmed with a couple of pieces of paper. How many strips of paper needed is determined by how tight of a fit you want. 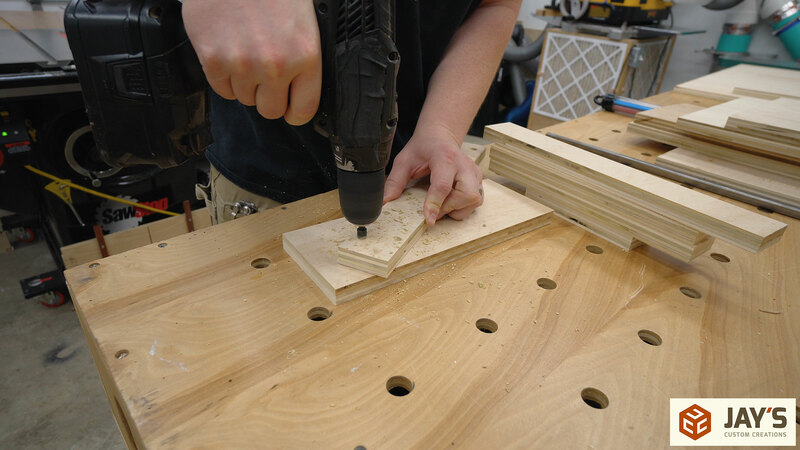 I was going for a tolerance that allowed the lift to slide freely but not so much that the entire router carriage tilted backwards away from the front screw when the front screw was not tightened down. 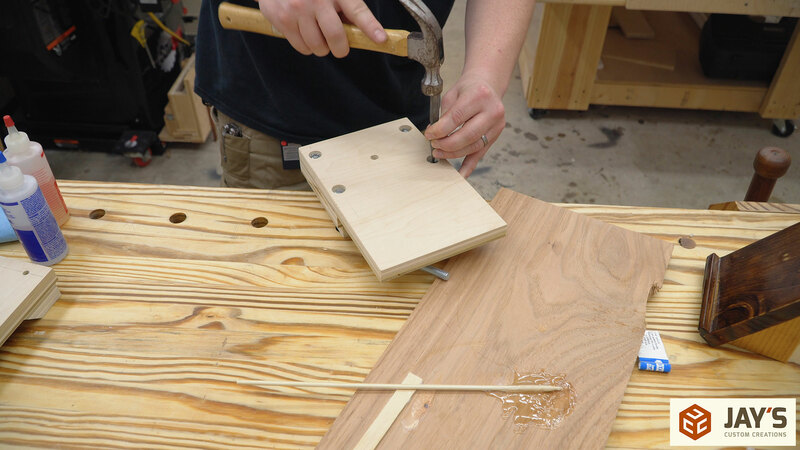 Wax makes things move easier…..so the entire inside of the outside assembly is waxed. Everything except the front face. This is where the lift will be locked down and keeping as much friction there as possible will help. Two more parts are necessary to be able to test out the lift. A locking handle and a pivot block for the lever. The pivot block will get close to the bottom of the extension wing so to reduce the chance of it hitting the wing I cut a slight radius to lower the corners. Because the main lifting bolt is just that, a bolt, a bushing is needed to prevent the threads from tearing away at the block of plywood. The simplest bushing I could find that was the perfect fit is a brass pipe coupling. Perfect fit! For the locking knob a t-nut in a piece of plywood is all that is necessary. 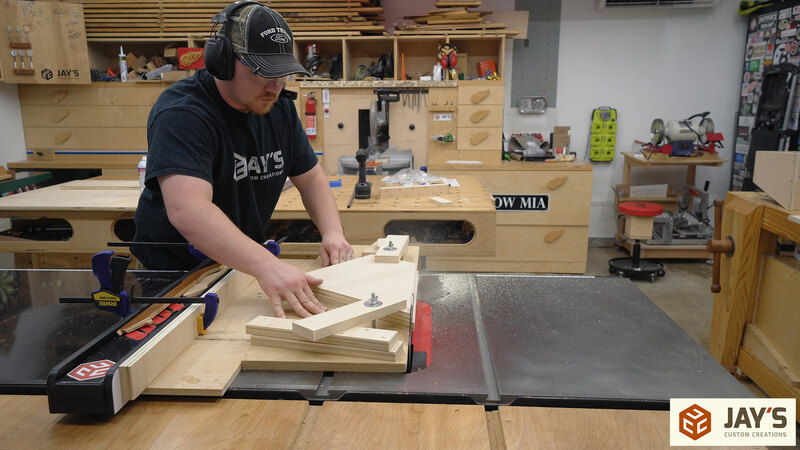 The router carriage is sized to be inserted from below. With the main bolt sticking through the front the pivot block is added followed by two washers and the locking knob. 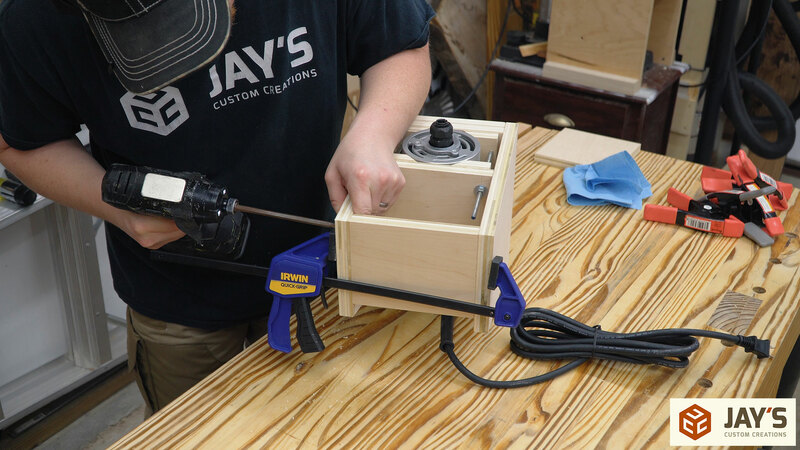 To lift the router carriage a piece of square tubing is used to create the lever. The lever pivots on a bolt to the left of the main bolt. A few different hole locations are included in the original plan. The closer you get to the main bolt the more of a mechanical advantage you get but the less vertical travel you get. It’s held in place with a couple of hex nuts tightened together on the back side. So the moment of truth. How well does the lift mechanism work? My main concern was that the movable router carriage would be too heavy. The router itself is much heavier than the smaller router from the first lift and the router carriage is larger from the one in the first lift as well. With the lift held to my bench in my vise and the back side supported with a clamped block the lift works great. 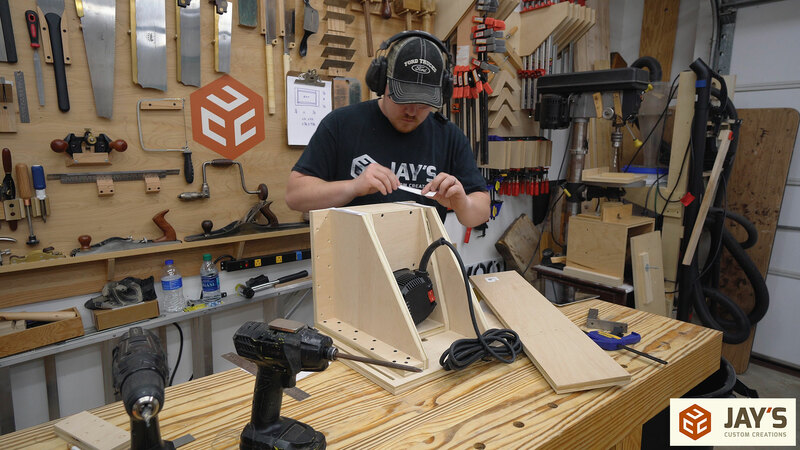 Here you can see the inside of the router carriage. The bottom plate where I’m pointing is where the dust collection port will be installed. 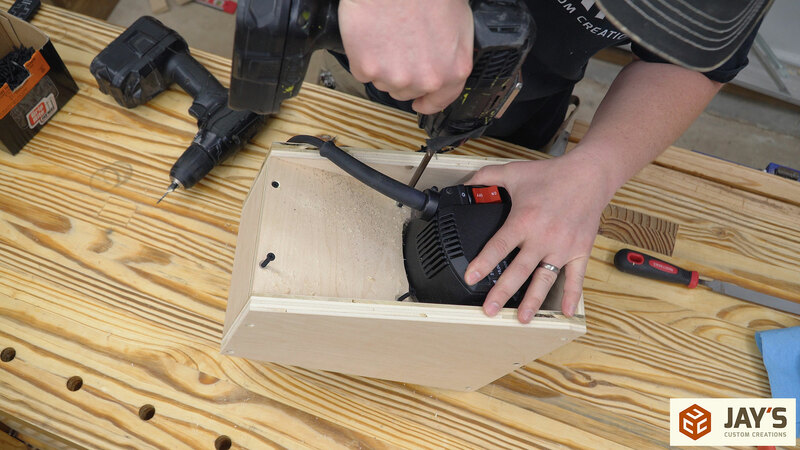 The idea is that the router will no longer be in the dust collection box. This puts the air intake end of the router in clean air. I don’t think it matters one way or the other as I’ve seen other commercial options that put the entire router in dust boxes as well. You can see that there is an open area on each side of the router as well. 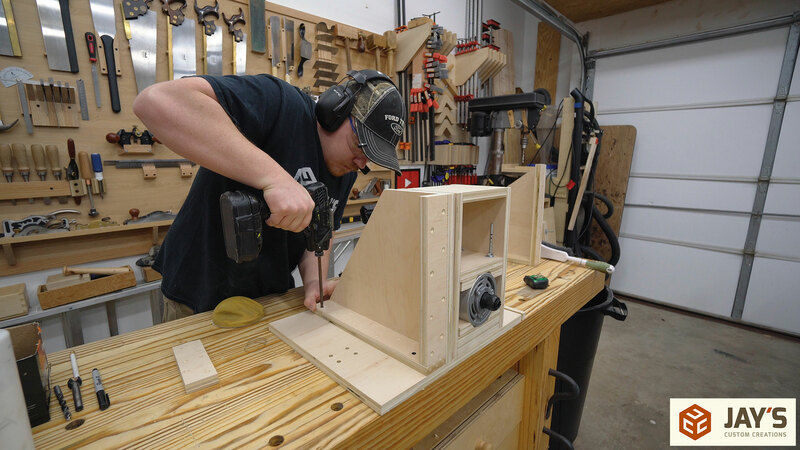 These are smaller areas that will allow extra air into the dust collection path and prevent the dust collector from being starved if a zero clearance situation around the router bit exists. 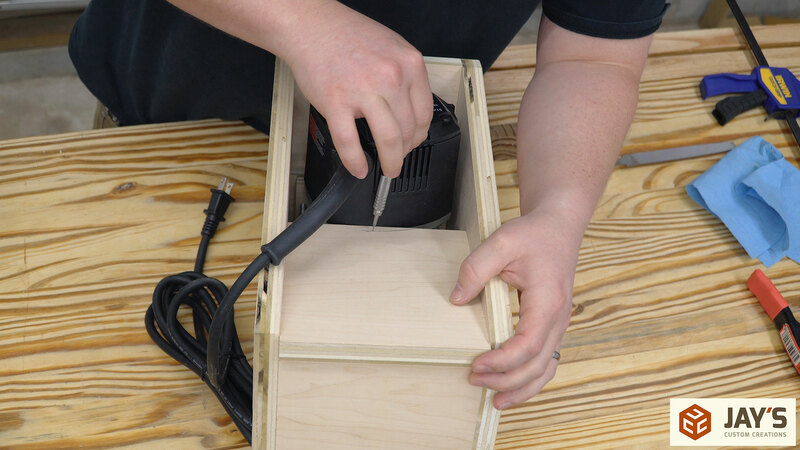 If this ends up being too much and cuts down on the efficiency of the dust collection one or both of these can be easily closed off with a piece of 1/4” plywood or hardboard. UPDATE: Plans are completed. If you’re interested in a set of plans click here. I used this router in the new version http://amzn.to/2z7zJaj. 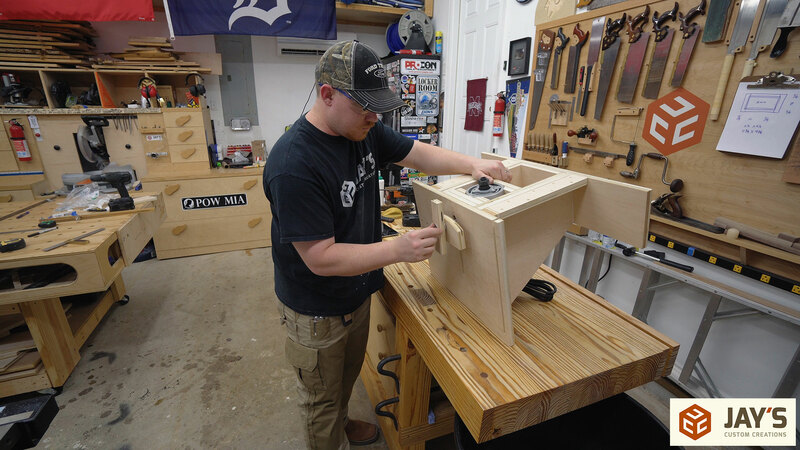 I have often wondered why anyone would want a table saw with a side table attached as big as the one in your video. 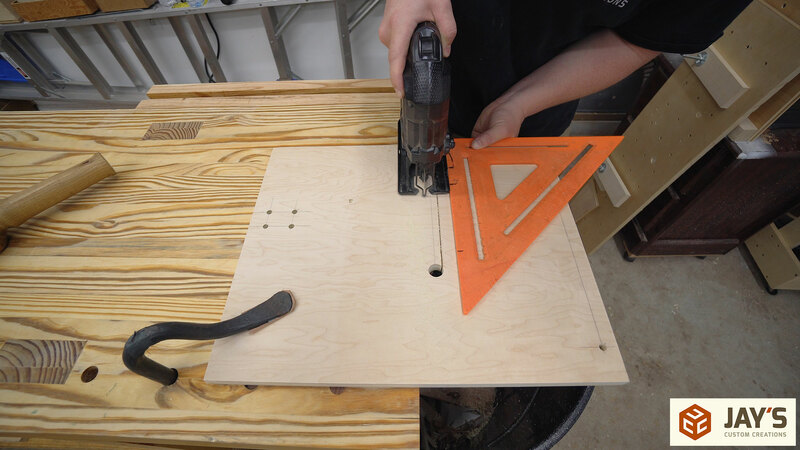 When in reality you could not control a 4×8 sheet of plywood to cross cut it . To say something like 4×5 foot. Nice design: very practical. I wonder if a T-track on the front left edge would be useful. 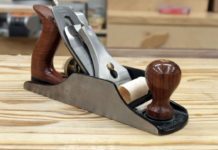 It would allow multiples including flip stops to be used for the various purposes you mention for stops. A fine-adjust screw in a stop might also be useful at times. Love the design! 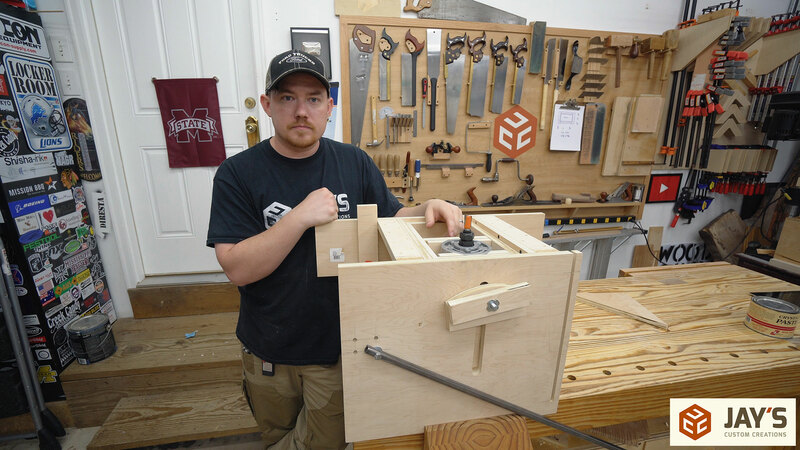 I’m thinking of building something similar for my new table saw extension. Seems like this would work great. Cool video and very creative project. Enjoy your instructional videos a lot. Keep them coming.